Ian Hogeboom-Burr was born in Whitehorse, Yukon, where the hostile climate taught him to appreciate the joys of staying indoors and reading. Ian left the Yukon in 2014 to attend high school at Etobicoke School of the Arts in Toronto, where he majored in film. Outside of poetry, Ian has produced independent films which have screened at locations including TIFF Bell Lightbox and the Dawson City International Short Film Festival. He also heads a Toronto-based indie rock band known as Sanchos. 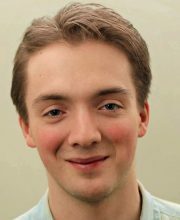 Ian is currently a student at Queen’s University, completing a degree in Mathematics and Engineering.